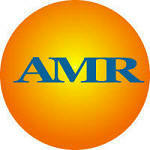 AMR Labs is dedicated to matching mortar. This is why we offer various forms of matching mortar including mortar analysis, mortar testing, sand analysis, mortar composition testing, cement mortar compressive strength testing, and custom mortar color matching. The most commonly used and accepted mortar strength test for determining the compressive strength of mortar is the astm c109 compressive strength test of cement. The astm c109 test method is used for testing old mortar and for testing new mortar materials as in its use in the astm c270 specifications. The astm c109 test method for testing cement mortars to determine their crushing pressure is a simple compressive strength test of cement, and the specifications of this test are more about the cement testing equipment than the testing of compression. It specifies a suitable design of machine for testing mortar strength, and suitable dimensions of the mortar sample. As I recall, it requires a sample that is 2 inches on one side. This is often difficult for testing old/historic mortar samples, and bedding mortar that is deteriorated and crumbling. While our mortar testing equipment meets this standard, your mortar samples may not when testing existing mortar, and we can still test these mortars with the best accuracy possible. The cost of testing mortar compressive strength is $150 per sample. If you are needing more information about your existing mortar composition, you may want to order our mortar analysis. This is an analysis of the mortar composition formula/ratio and includes an analysis of the mortar compressive strength. Click here to order/get prices and procedure for mortar testing/matching.